Lady Diana Frances Spencer, (July 1, 1961–August 31, 1997) was the first wife of Charles, Prince of Wales. From her marriage in 1981 to her divorce in 1996, she was called “Her Royal Highness The Princess of Wales”. After her divorce from the Prince of Wales in 1996, Diana ceased to be the Princess of Wales and also lost the resulting Royal Highness style. After her divorce, officially, she was called Diana, Princess of Wales. 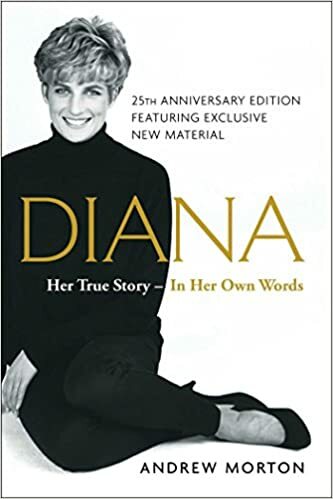 Diana was often called Princess Diana by the media and the public, but she did not possess such a title and was not personally a princess, a point Diana herself made to people who referred to her as such. Contrary to belief, being Princess of Wales does not make one a princess in one’s own right. It merely indicates that one was married to a Prince of Wales. An iconic presence on the world stage, Diana, Princess of Wales was noted for her pioneering charity work. Yet her philanthropic endeavours were sometimes overshadowed by her difficult marriage to Prince Charles. In the 1990s she made many public revelations about the difficult marriage – her affairs and Prince Charles’ affair with Camilla Parker-Bowles. From the time of her engagement to the Prince of Wales in 1981 until her death in a car accident in 1997, the Princess was arguably the most famous woman in the world, the pre-eminent female celebrity of her generation: a fashion icon, an image of feminine beauty, admired and emulated for her high-profile involvement in AIDS issues, and the international campaign against landmines. During her lifetime, she was often referred to as the most photographed person in the world. Diana Frances Spencer was born as the youngest daughter of Edward Spencer, Viscount Althorp, and his first wife, Frances Spencer, at Park House on the Sandringham estate. On the death of her paternal grandfather, Albert Spencer, 7th Earl Spencer, in 1975, Diana’s father became the 8th Earl Spencer, and she acquired the courtesy title of The Lady Diana Spencer and moved from her childhood home at Park House to her family’s sixteenth-century ancestral home of Althorp. A year later, Lord Spencer married Raine, Countess of Dartmouth, the only daughter of the romance novelist Barbara Cartland, after being named as the “other party” in the Earl and Countess of Dartmouth’s divorce. Buckingham Palace announced the engagement on 24 February 1981. Mrs Parker Bowles had been dismissed by Lord Mountbatten of Burma as a potential spouse for the heir to throne some years before, reportedly due to her age (16 months the Prince’s senior), her sexual experience, and her lack of suitably aristocratic lineage. The wedding took place at St Paul’s Cathedral in London on Wednesday 29 July 1981 before 3,500 invited guests (including Mrs Parker Bowles and her husband, a godson of Queen Elizabeth the Queen Mother) and an estimated 1 billion television viewers around the world. Diana was the first Englishwoman to marry the heir to the throne since 1659 when Lady Anne Hyde married the Duke of York and Albany, the future King James II (although, unlike Charles, James was heir presumptive and not the heir apparent). Upon her marriage, Diana became Her Royal Highness The Princess of Wales and was ranked as the third most senior royal woman in the United Kingdom after the Queen and the Queen Mother. In the mid-1980s her marriage fell apart, an event at first suppressed, but then sensationalised, by the world media. Both the Prince and Princess of Wales allegedly spoke to the press through friends, accusing each other of the blame for the marriage’s demise. Charles resumed his relationship with Camilla Parker Bowles, whilst Diana became involved with James Hewitt and possibly later with James Gilbey, with whom she was involved in the so-called Squidgygate affair. She later confirmed (in a television interview with Martin Bashir) the affair with her riding instructor, James Hewitt. Another alleged lover was a bodyguard assigned to the Princess’s security detail, although the Princess adamantly denied a sexual relationship with him. After her separation from Prince Charles, Diana was allegedly involved with married art dealer Oliver Hoare and rugby player Will Carling. She did publicly date heart surgeon Hasnat Khan before becoming involved with Dodi Fayed. The Prince and Princess of Wales were separated on 9 December 1992; their divorce was finalised on 28 August 1996. 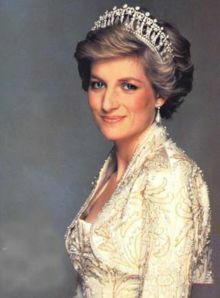 The Princess lost the style Her Royal Highness and instead was styled as Diana, Princess of Wales. However, since the divorce, Buckingham Palace has maintained that Diana was officially a member of the Royal Family since she was the mother of the second and third in line to the throne. On 31 August 1997, Diana was involved in a car accident in the Pont de l’Alma road tunnel in Paris, along with her friend and lover Dodi Al-Fayed, and their driver Henri Paul. Fayed’s bodyguard Trevor Rees-Jones is the only person who survived the wreckage. The death of the Princess has been widely blamed on reporters who were reportedly hounding the Princess and were following the vehicle at a high speed. Ever since the word paparazzi has been associated with the death of the Princess. Citation: Tejvan Pettinger, Oxford, UK. www.Biography Online Published 01/06/2006. Updated 22 Feb 2018.